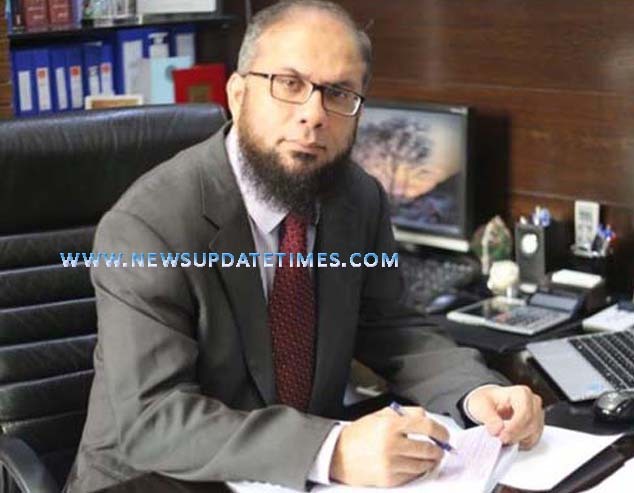 Karachi (Muhammad Yasir) The Federation of Pakistan Chamber of Commerce and Industry (FPCCI) appointed the Chief Financial Officer (CFO) and Company Secretary of Pak-Qatar Takaful Group (PQTG), Muhammad Kamran Saleem, as Convener of FPCCI’s central Standing Committee on Takaful & Window Takaful for the year 2019. 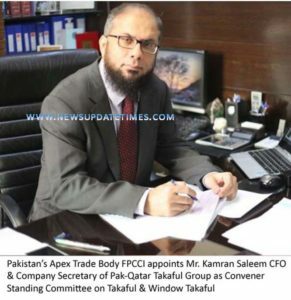 Muhammad Kamran Saleem has previously served as the Chairman of Takaful Standing Committee of the FPCCI. He has risen to the position of CFO by successfully managing multi-dimensional assignments and heading all the major functions in the Pak-Qatar Takaful Group over the years. With an illustrative career and strong knowledge-base in Finance and Law, Mr. Saleem will play a key role in ensuring rapid growth in the Takaful industry, as integrity and transparency is the hallmark of Islamic finance.